This brand was created around the term “Mad Bread” meaning “A lot of money”, in which an actual character of a mad slice of bread was born. The brand shows great pride in their message of “Be Hungry Not Greedy” which means it is important to go after your dreams and goals but make sure you are still giving and helping others. The official website www.GetMadBread.com recently launched May 26, 2014. The website displays the brand’s creativity and fun spirit through its unique design. It is a must see! Although the site just launched they have already been making sales and growing the brand through social media and their temporary site. Please check out the brand and let them know what you think. 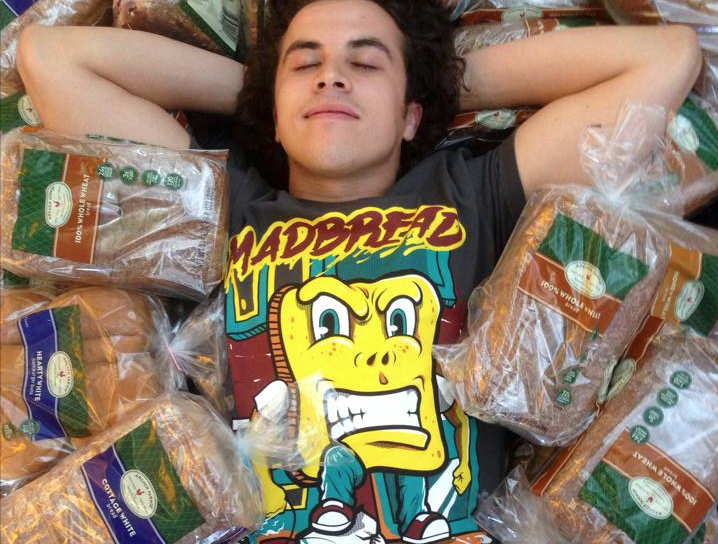 Their products can be viewed through the website as well as social media platforms including Twitter, Facebook, and Instagram ( @getmadbread).